I’m starting a new category here at Spinach Tiger. 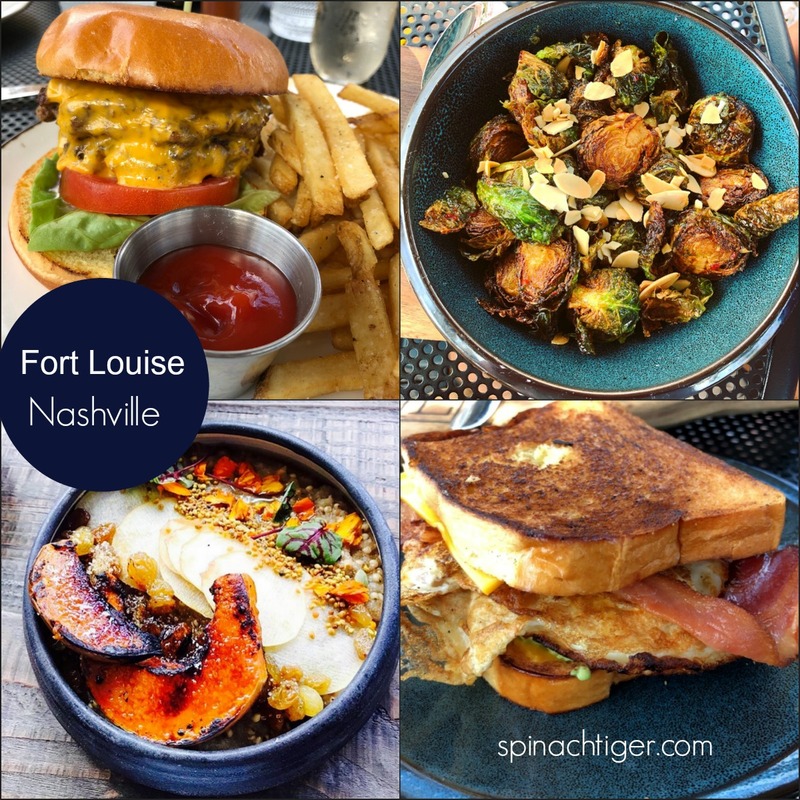 Every weekend, I hope to give you a rundown of the best places to eat in Nashville and the surrounding area. 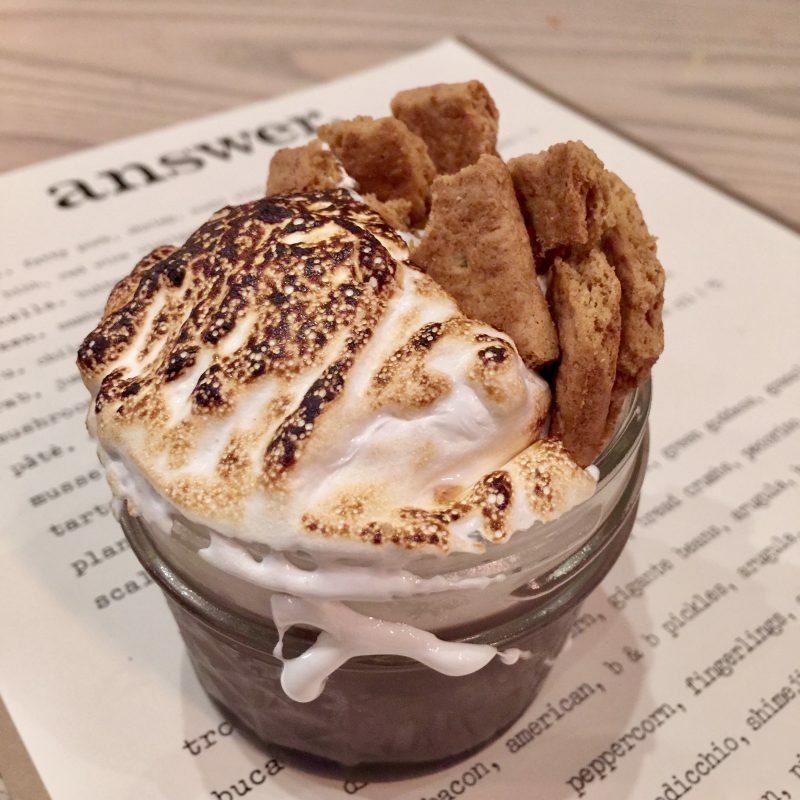 I don’t get to write full reviews of restaurants as often as I would like to, but I thought it would be fun and useful to share the our most recent places that we recommend. 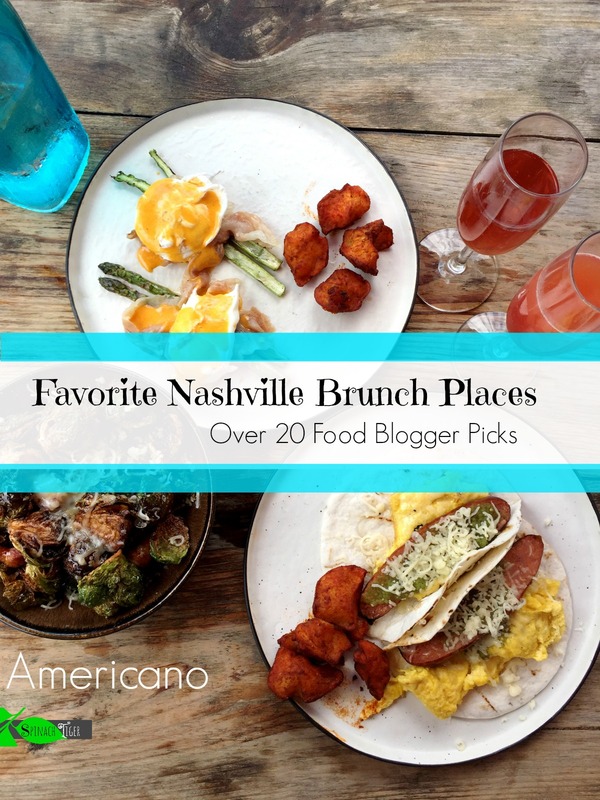 See my roundup of brunch places here. This was a good season for brunch and breakfast. The Old School, a little bit of a drive, but so worth it. We can’t wait to go back. 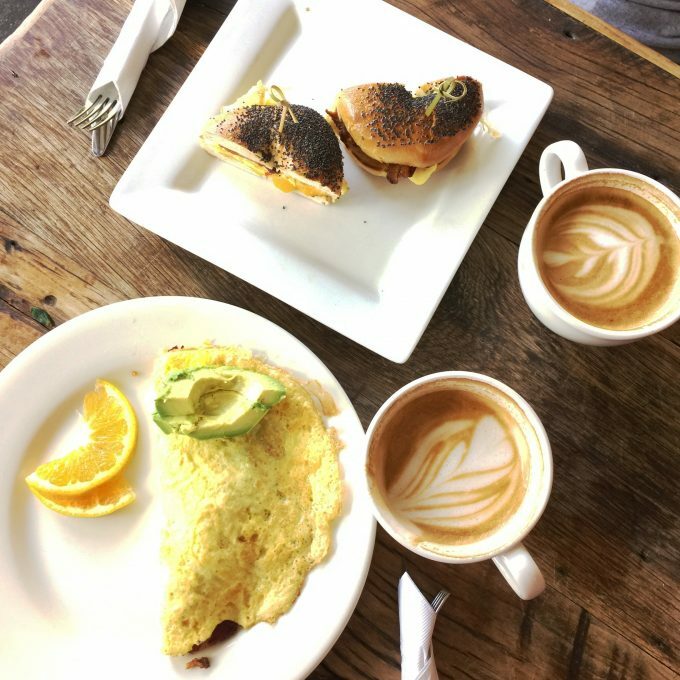 Fort Louise – A small, cozy, neighborhood eatery with the best breakfast sandwich in town. The double double burger is everything a burger needs to be. 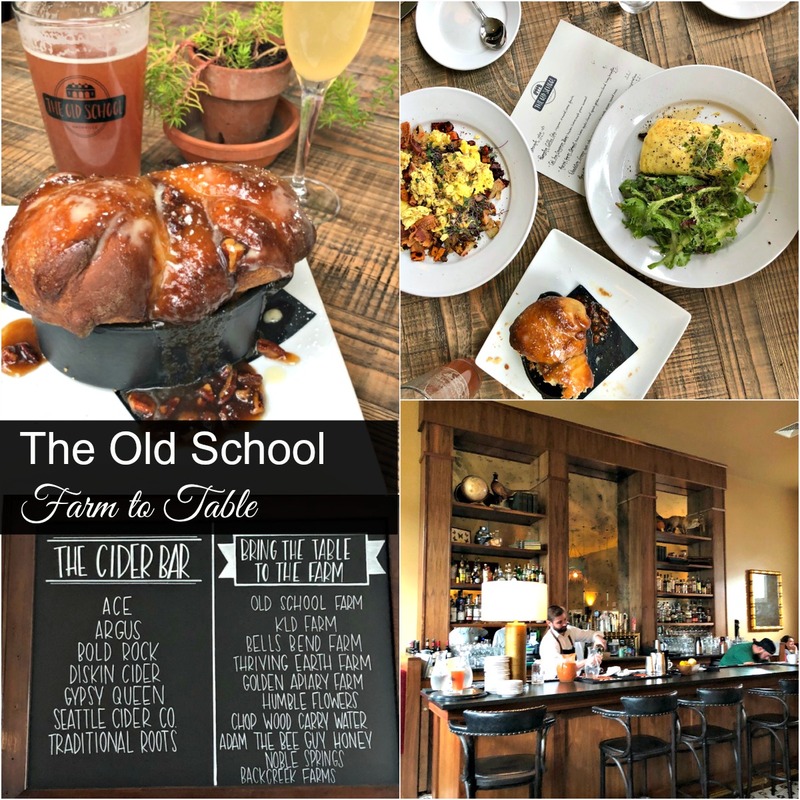 Read more at our brunch post. This is a charming restaurant known for their poutine. It’s divine. I ate every single bite. See more about their brunch here. 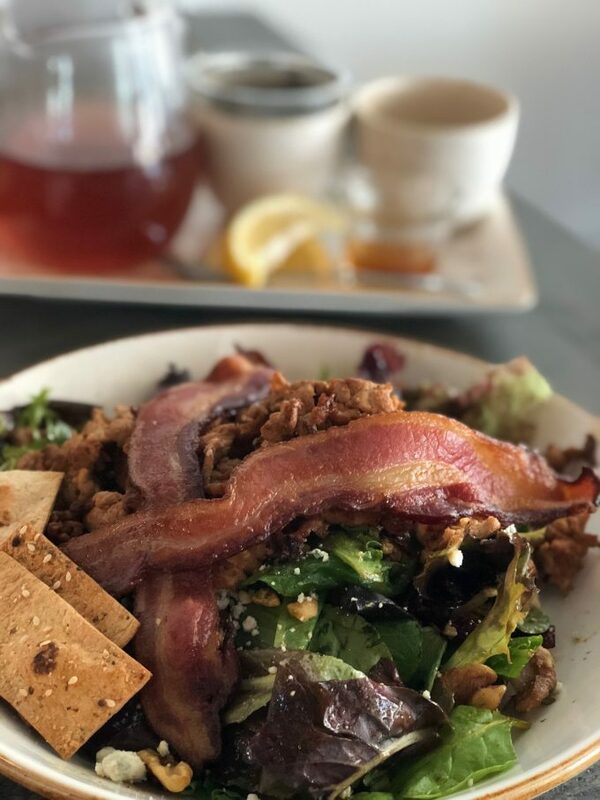 Milk & Honey – Located in the Gulch, it’s busy, big, and you wait in line for an hour, but go and do it like this: Put your name in, and walk around the Gulch and explore the shops (see below about Killebrew Coffee). Order the biscuit for starters and anything on the menu. Fun place. Takes a large party. 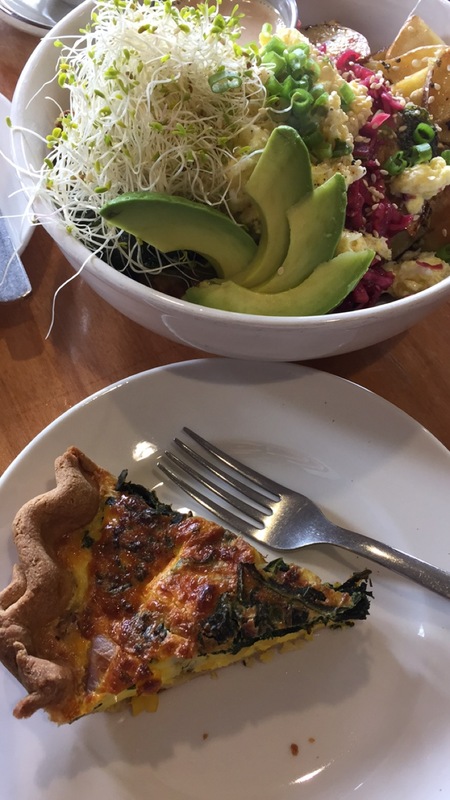 Post East – This is a coffee shop with great food, featuring great coffee and many gluten free items. We recommend the featured bowl, and if you like smoothies, this is your jam. 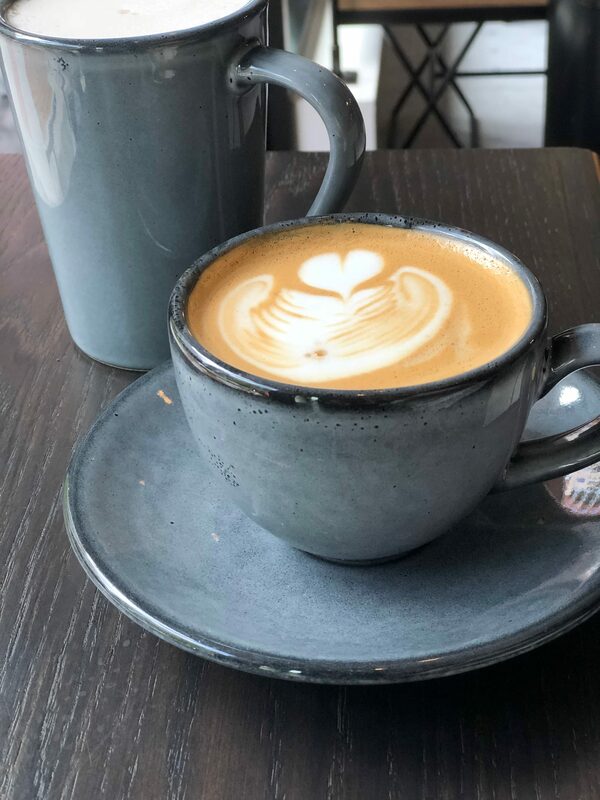 Frothy Monkey – this is the place we most frequent, because the coffee drinks are so consistent, and the atmosphere is friendly. 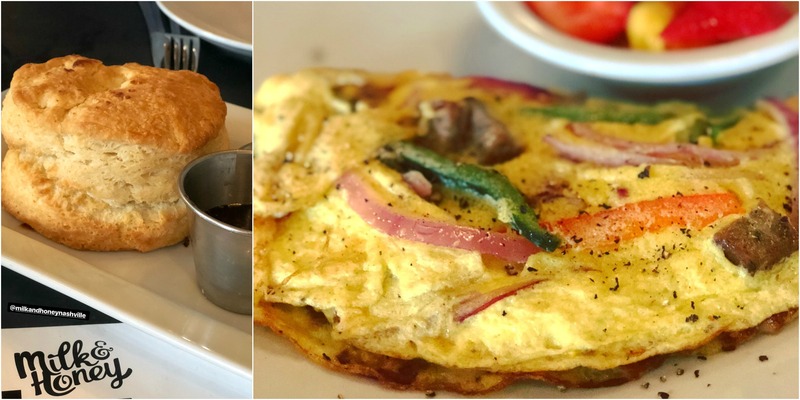 I always order the omelette made my way, but the California with a fried egg and whole grain toast is a favorite. If you just want coffee and a sweet, they bake their own. I’ve been to all the Frothy Monkey locations, including Chattanooga in the Chattanooga Choo Choo Hotel. However, you can usually find me at the Franklin location, drinking a rosemary latte (not on the menu, ask) and the architect omelette (served all day). I like the vibe, and the very friendly service. Pretension in coffee shops is a big no for us. They serve alcohol and some locations have pretty cool bars like the Nations and Chattanooga. When you’re in the Gulch, stop by Killebrew Coffee in the Thompson Hotel. This is a place to hang while you’re waiting for your table (which takes an hour) at Milk & Honey.They also have yummy pastries and quick bites. The Cafe at Thistle Farms serves breakfast, lunch and afternoon tea, Monday through Saturday. Thistle Farms Store is in the same location. Nestled in a modern farmhouse interior with a teacup ceiling installation, there is whimsy, yet there is purpose. 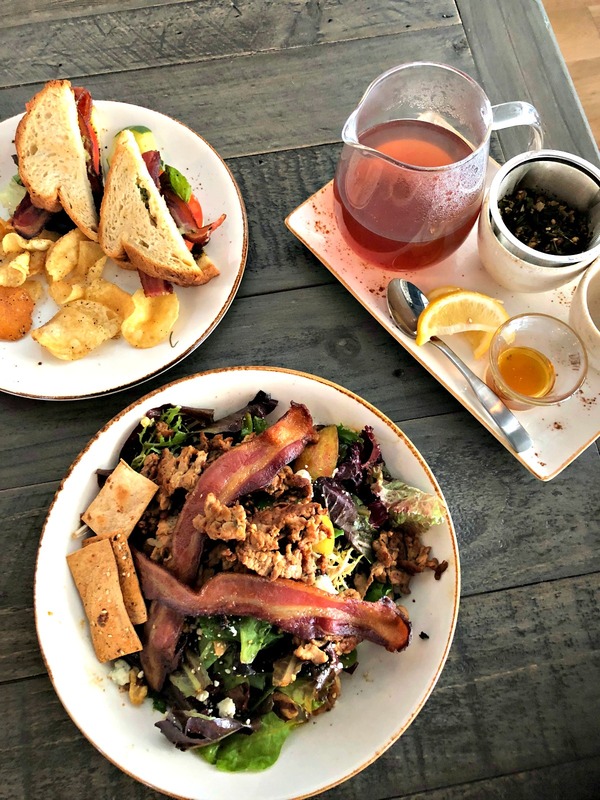 The Café is part of Thistle Farms’ social enterprise, which heals, empowers, and employs women survivors of trafficking, prostitution, and addiction. The love heals banner and love heals hashtag represents graduates of the Magdalene recovery program jobs, as they are included in all facets of the cafe. During your visit, take a moment to browse the retail shop and be pleasantly surprised. Field greens, apples, celery, bleu cheese, walnuts, Broadbent bacon, molasses vinaigrette. I added Crispy Pork. I was full the whole day. Andrea had a BLT. She ordered the lovely tea service, and I followed up with an almond milk latte. The place is full of charm and good causes. It’s a neighborhood restaurant with upscale, yet rustic small plates, meant to share. We enjoyed several small plates, one larger (the bucatini) and a fabulous dessert. 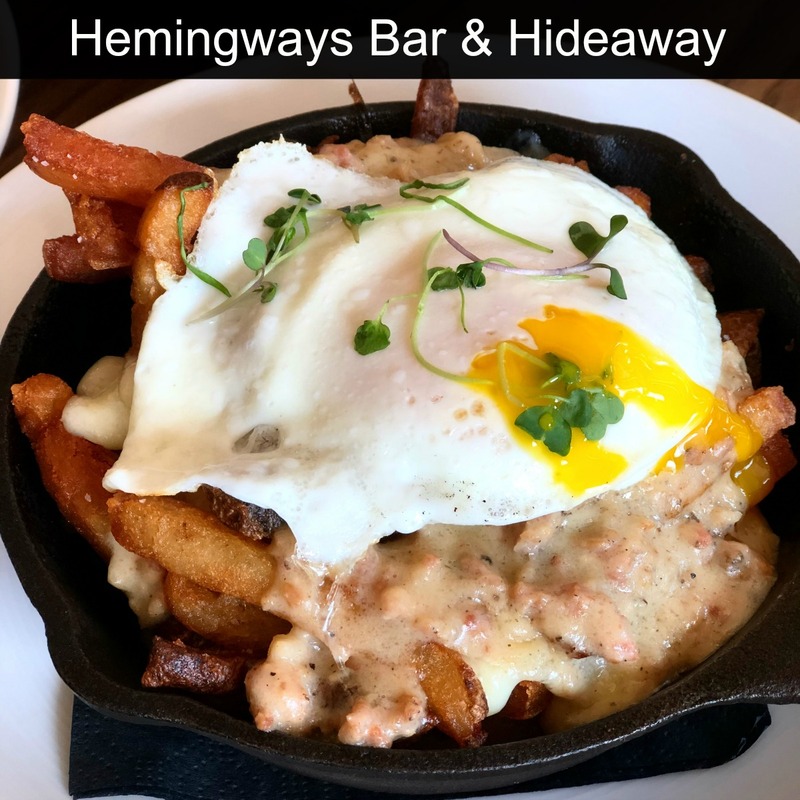 The service was wonderful; the decor is casual modern chic, and it has a great neighborhood restaurant vibe. It’s family friendly and we saw several children, which is nice to see in a place with a somewhat sophisticated menu. 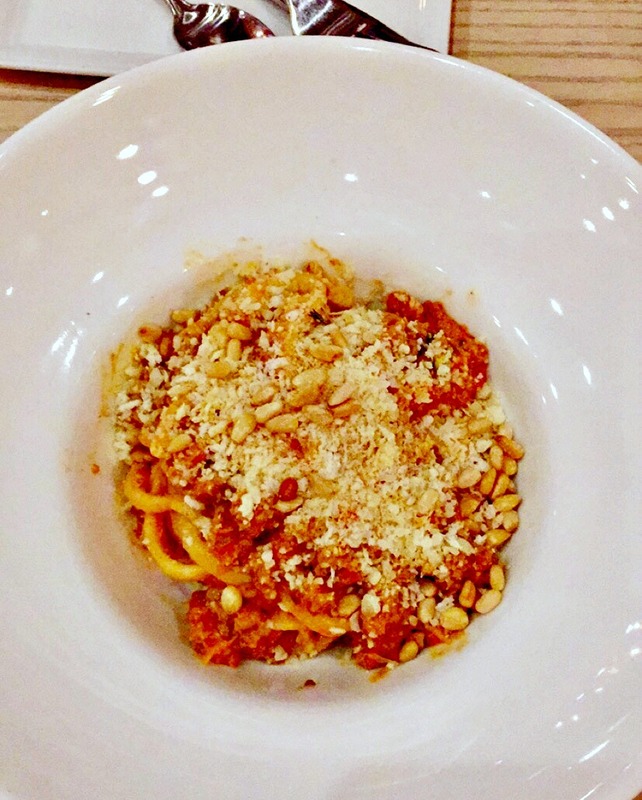 Bucatini with Pork and Lamb Ragú. The picture doesn’t do this dish its justice. It was made to perfection. Be sure to save room for dessert. They make the most creative and amazing sweets. I waited almost a year for Peninsula to open, ever since I had tried the braised rabbit in garlic broth at a food event. 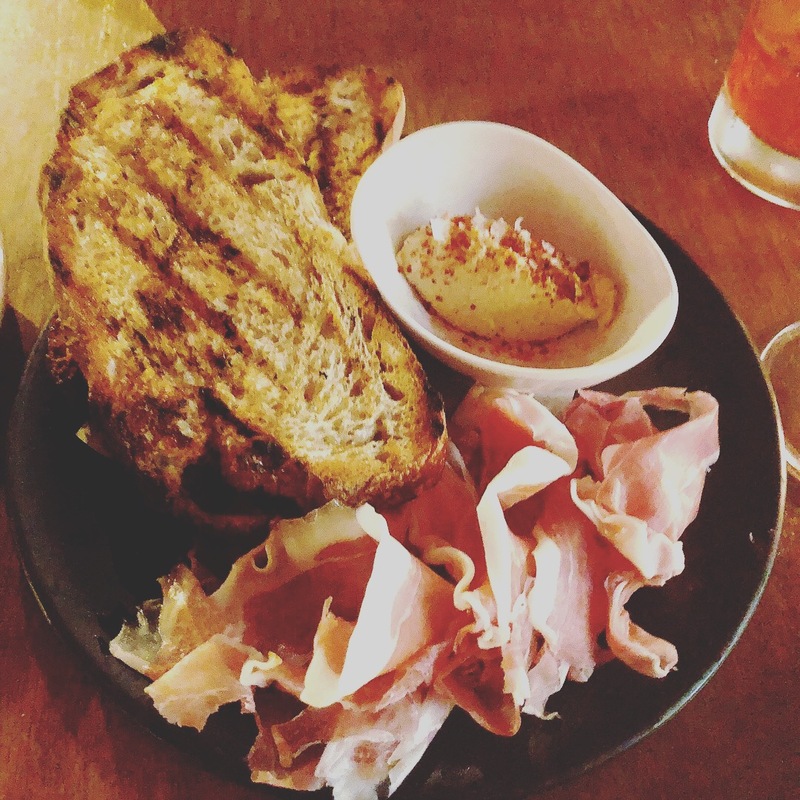 Settling into an East Nashville neighborhood, in a small yet smart and cozy space, they are featuring small plates meant to share, inspired by the Iberian Peninsula, with Spanish, French and Portugese notes, locally procured ingredients. The food is clever, but not fussy with an emphasis on pleasing the palate. Braised Rabbit, Garlic Broth, Piment D’ Espelette. Lime Curd with Blueberries (this is outstanding). 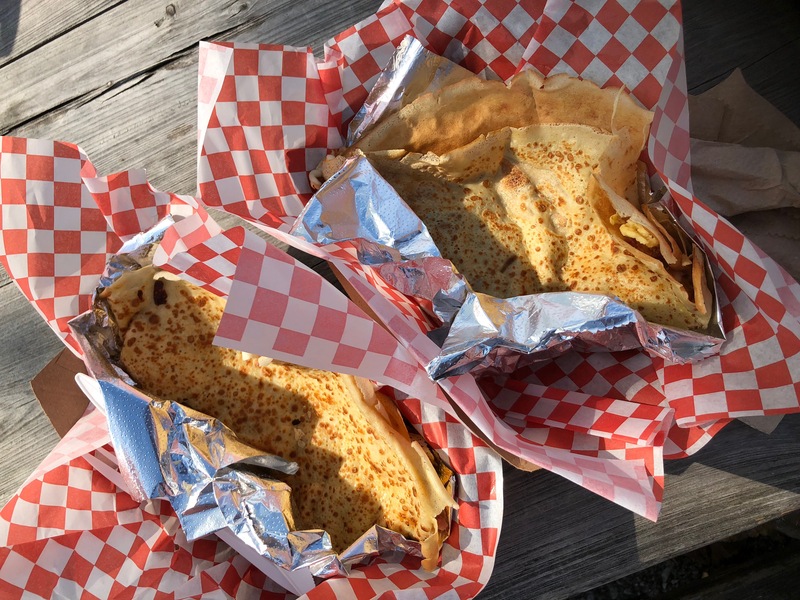 Et Voila is at the Franklin Farmer’s Market on Saturday and has the best gluten free crepes that they stuff with bacon and eggs. You can also get them sweet, or try their beignets. On my next visit, I’m getting the fries smothered with beef bourguignon. I hope to post every Sunday, a day you can take your time, and plan your eating adventures. 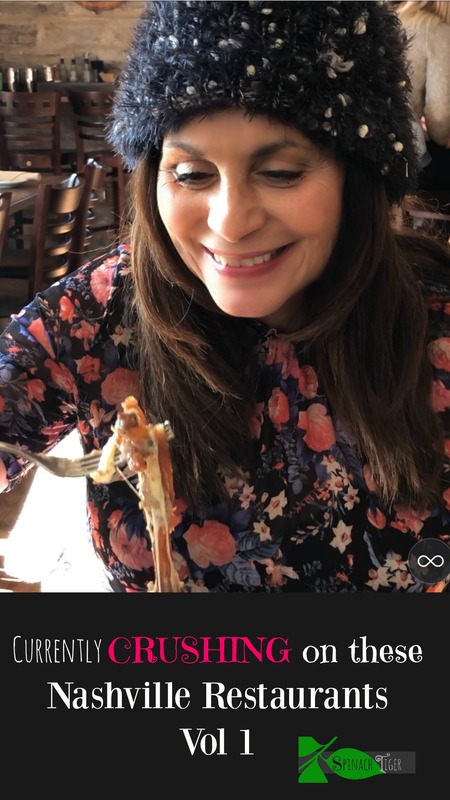 Please follow me on instagram so you can see all the stories on the Nashville restaurants and the kitchen tested recipes! We love that you visit here! NEXT WEEK: We tell you about an upscale Chinese restaurant, two places to take a drive to, the donut you have to have at least once, a new favorite pizza place, and date night picks. This post may contain affiliate links with Amazon, which earn a small commission, but do not increase any price!